NOTE: Lightroom Presets require Adobe Lightroom for Desktop for it to work. It doesn't work in the mobile version. 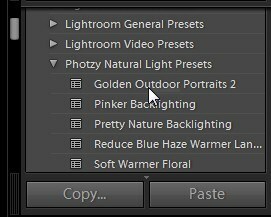 Step 1: After downloading, find the Lightroom Presets file on your computer. Usually, it saves to the Downloads folder. 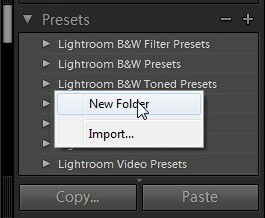 Lightroom Presets use the file extension .lrtemplate. 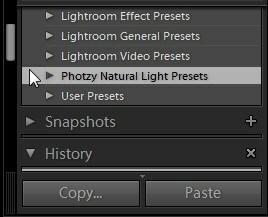 Presets downloaded from Photzy are compressed into .zip files for easier downloading. You need to unzip the file before loading it into Lightroom; otherwise it will not install. Step 2: Unzip the file. If you're not sure how to unzip files, see How to Unzip Compressed files. 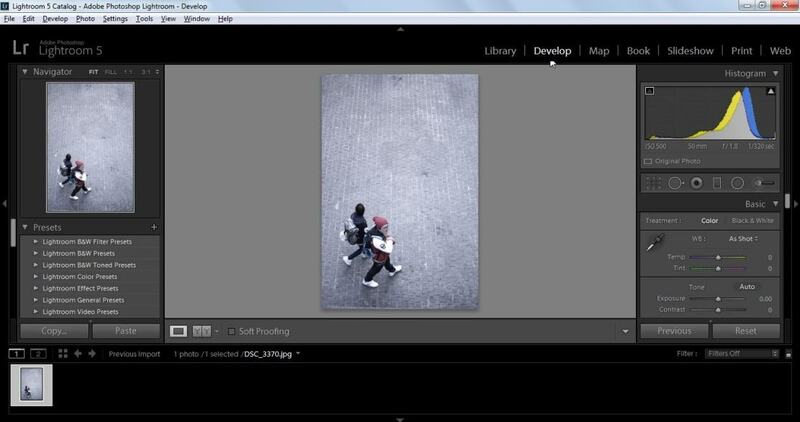 Step 4: From Lightroom's menu, click on the Develop tab. Step 5: On the left side where you see menu options, find Presets. If you cannot see the list of presets, toggle the arrow beside Presets to show the Presets box. 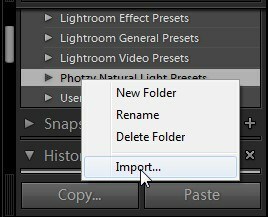 Step 6: Right click anywhere inside the Presets box and select New Folder. If you are unable to right click, you may need to select a photo first to activate this section. Step 8: On the Presets box, scroll down and find and select the newly created folder. Step 9: With the folder selected, right click and select Import. A documents window will appear. Step 10: Find and select all the presets that you need to load. Note: If when you open the extracted folder you see two folders where one folder is _MACOSX, choose to open the other folder. You may actually delete the _MACOSX folder. This usually shows up when you're opening it using Windows/PC. 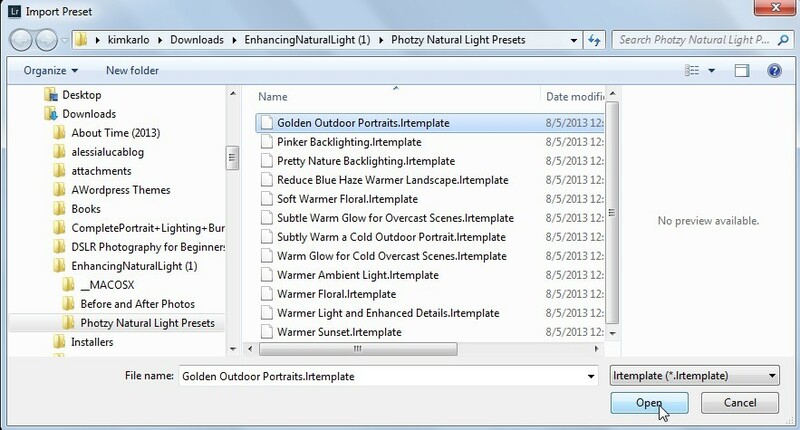 Open the other Presets folder to see all your preset files. Step 11: Click on Open to load the selected presets. 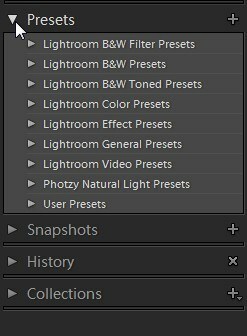 You should now see the loaded presets under the folder you created ready for use. Enjoy your presets!